White iPhone 4 Release Date Coming Next Week? This is a first for Apple, and really a first for the entire mobile phone industry – demand for a device is so high that all of the resources in the world are having a difficult time in keeping up. The iPhone 4 is perfect example of this economic phenomena. And nothing exemplifies these unbalanced scales more than the white iPhone 4. The white iPhone 4 release date, according to Steve Jobs (Apple CEO), is “sometime at the end of July”. Well, today is July 21st and there are only 8 days left in the month. So based on what Steve Jobs is saying, the white iPhone 4 should be available within a week – a week and 1 day at the absolute most. But this takes us right back to the unbalanced scales of supply and demand regarding the iPhone 4. There is just way too much demand for Apple, and the Apple iPhone suppliers, to keep up with demand. This problem will only be exasperated when the white iPhone 4 hits the market. 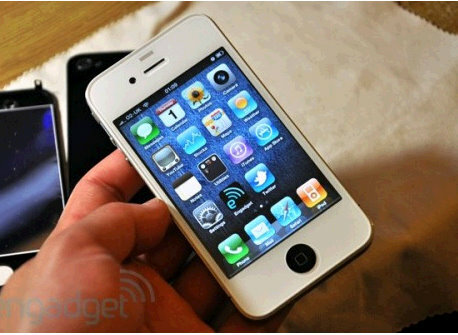 There are already supply problems with the white iPhone 4 manufacturers, and the device hasn’t even hit the shelves yet. So what can we expect in the coming week when the white iPhone 4 comes available? I’m of the opinion that we’ll see the current supply of the devices almost instantly evaporate and a back order of several weeks will occur. Then we’ll be back to square with a massive audience of customers chomping at the bit for the white iPhone 4. This is a bit of irony for you – I heard that with the iPhone 3G and the iPhone 3GS that Apple couldn’t give away the white versions. But now, with the white iPhone 4 having so much attention and pent up demand, and may even exceed the black iPhone 4 sales. This has been way predicted even before the press con of Apple last week.